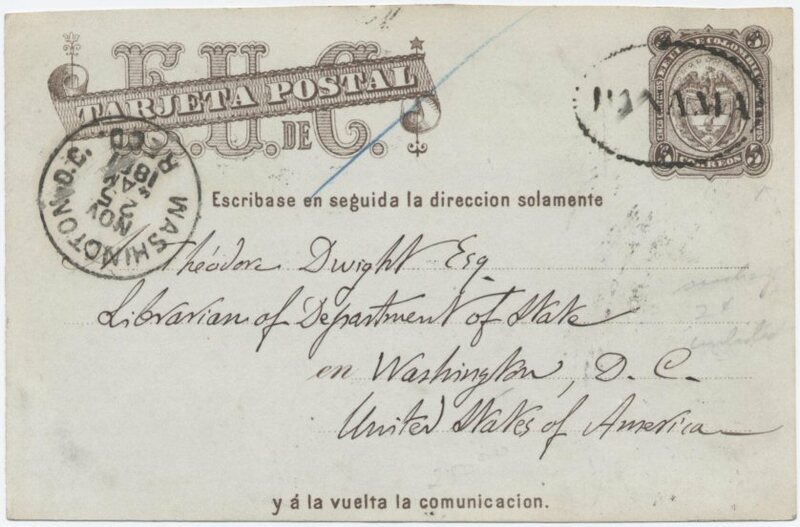 Panama November 16, 1881 – Washington DC The postal card rate was reduced to 2¢ July 1, 1881 when Colombia joined the UPU. The seldom used first issue cards were sold for domestic use at the new 2¢ rate. Here 2 is written over each 5. Example of record of the usage of a manuscript revaluation. This is the earliest recorded use of a postal card from Panama.